Without habits, our brains would be overloaded with the minutiae of daily life. We’d stop functioning because we would have to remember to breathe, or how to walk, let alone what we were supposed to put on the risk register. When a computer chimes, or a smartphone vibrates with a new message, the brain starts anticipating the momentary distraction that opening an email provides. That expectation, if unsatisifed, can build until a meeting is filled with antsy executives checking their buzzing BlackBerrys under the table, even if they know it’s probably only their latest fantasy football results. If you disable the buzzing and remove the cue, you can work for hours without thinking about having to check your inbox. To change a habit, you must keep the old cue and the reward, but change the routine. If you want to give up drinking tea, instead of going to the kitchen and putting the kettle on, you need something else that gives you the same payoff. Take a walk around the office and find someone who is equally as distracted as you to chat to. You still get the break from your desk, but without the tea. However, changing habits only works if you believe you can do it. If you want to change a habit, you have to want to change. It takes effort until the new habit is ingrained. Duhigg says that this is easier to achieve in a group such as a team, which is why I suppose groups like Weight Watchers work. You never completely unlearn a habit, but you can replace it with something else. Your aim is to give yourself a new habit that is a stronger mental loop so that the old habit isn’t so prominent. You want to create a “neurological craving”, as Duhigg calls it. From a project management perspective, I can see that you would get into the habit of always spending Friday afternoon doing status reporting and updating your risk log, but it’s a bit strong to say that you will ever have cravings to do that. But you can appreciate the point he is making. 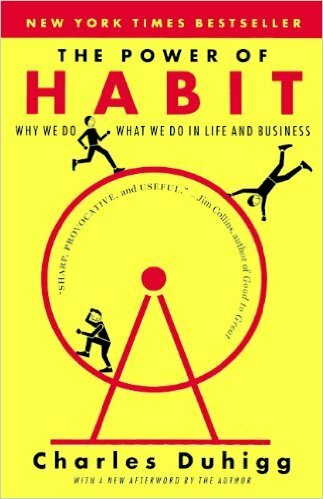 Duhigg argues that you will be more successful at changing a habit if you change small things. Build up to gradual, lasting change. 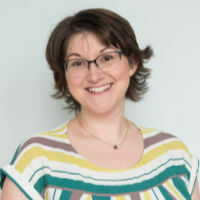 For example, he shows that smaller change in healthy eating have a knock on implications for other areas of life, such as exercise and general lifestyle changes. The second section of the book is about how companies create routines and habits in shoppers and staff. While it makes good reading, there is not much you can put into practice. There are lots of interesting stories and the section is well-written but he doesn’t have a lot of practical advice for companies wishing to create good habits in their customers. Section 3 is about habits in communities and societies. Duhigg shares several examples that show the power of strong and weak community ties. If you want to make new ideas stick, they have to be self-propelling. That means giving people new habits so they can figure out where to go by themselves, and not spoon-feeding them too much. 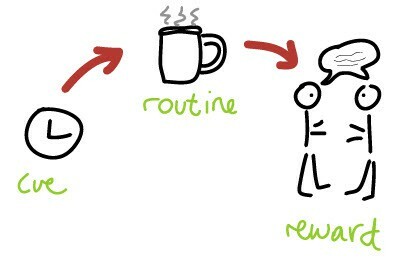 Identify routine: what is it that you do? Experiment with rewards: could you change the reward to something else? Isolate the cue: what cues your habit? Have a plan: how are you going to change this, by starting small and building up to lasting change? If you can do this, you can change your habits – who knows, maybe one day you will get cravings to complete those project status reports! *This article contains affiliate links at no cost to you.